I was so excited last week! I found a lady in a shop near me who sells bananas that are already ripe! So many times I have had a craving for something made with ripe bananas and I have had to wait the long wait until those bad boys ripen. Which as I’m sure you are well aware, can take days. For anyone following the Specific Carbohydrate Diet (SCD) or for anyone with digestive issues, ripened bananas are a must. The unripe ones are difficult to digest and also contain some starch, so no green tips! It was funny last week when I went to buy the ripe bananas, the lady in the shop went to grab some “nicer” ones for me in the back and then I had to tell her “No, I actually love them like this!”. She was somewhat surprised and she seems quite amused now anytime I pop in for some more. I guess she has found a very niche market for one of her products! The first time I had this ice cream I could not believe how good it tasted. 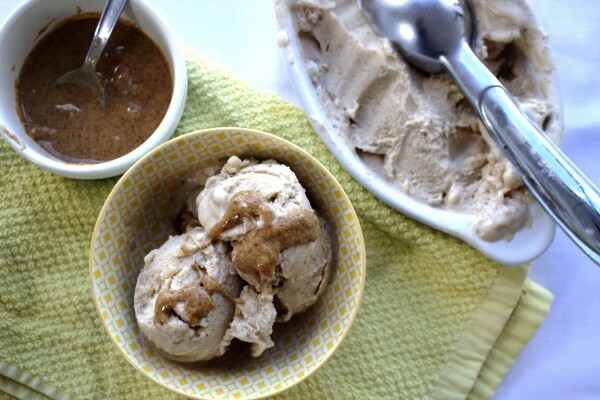 It’s hard to believe that just two ingredients can make such a creamy texture. 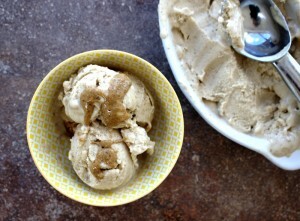 I love that I can whip this ice cream up as a super quick dessert after dinner. I love that this is such a healthy dessert too and I actually feel good about giving this ice cream to my daughter. She loves it and is not getting any of the sugar or additives from store-bought ice creams. How I really knew I was on to a winner with this recipe however was when my husband admitted he loved it! He is usually very sceptical of anything SCD legal. Dessert without sugar? As the son of a very accomplished pastry chef he has quite the discerning palate when it comes to sweet dishes. When he asks me to make this one I can’t help but feel proud!! The key to this recipe is to always to have bananas ready frozen in the freezer. 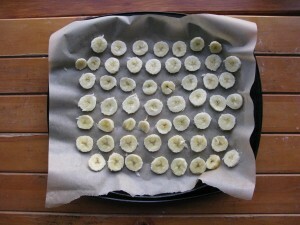 This is a great way to use up very ripe bananas even if the skin has gone quite dark. How you freeze the bananas is important. 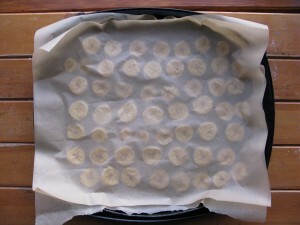 Slice the bananas into thin enough slices and place on a parchment paper lined baking tray. Cover with another layer of parchment paper on top. Then freeze for at least two hours. This is because if you freeze them together, they will clump together and be impossible to break down in a blender. 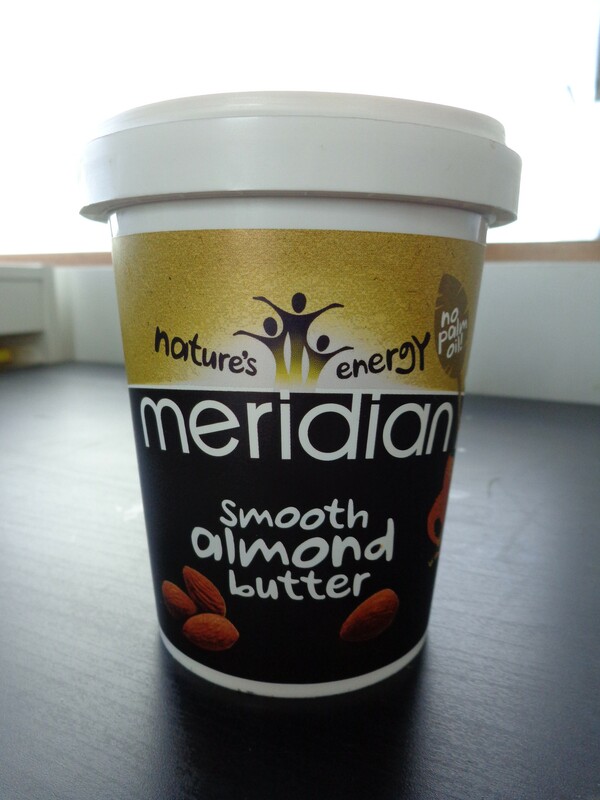 Note: Make sure your almond butter contains only almonds. It can have a little salt but definitely should not contain palm oil or anything of the sort! A wonderfully creamy, quick and healthy dessert. Just two ingredients! Blend bananas in a powerful blender until they break down and become creamy. Add almond butter and blend again until well mixed. Enjoy! Just read your blog and am so excited to make this again! But this time will definitely be cutting the bananas thinly and freezing them like this! Thanks so much for sharing! This is such a quick and delicious recipe!